Thomas, unemployed and from San Jose, has been arrested in connection with the serial wallet thefts of elderly victims in SSF and neighboring communities. PD expect the list of potential victims to increase. 42 year-old Renetha Thomas, was arrested yesterday, 02-09-2017, at her residence in San Jose by Detectives from the South San Francisco Department. 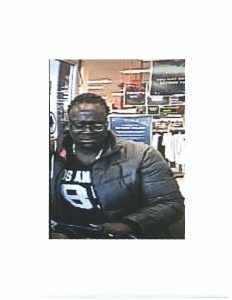 This was the conclusion to a several months-long investigation of the serial wallet thief who was victimizing elderly female victims, not only in South San Francisco but in several other cities in San Mateo County. Thomas’ crime spree in San Mateo County is believed to have begun in August 2016 in which she would contact elderly female victims inside different grocery stores. Once making contact, she would distract her victims from their purses, which would be inside their shopping carts. Unbeknownst to the victims, Thomas would then take the opportunity to quickly take the victims’ wallets out of their purses and then leave the store. Unfortunately for the victims, Thomas’ crimes did not end there as she would then utilize the victims’ credit cards to make fraudulent purchases at different department and convenience stores throughout San Mateo County. Although the investigation is ongoing, it is believed that Thomas is responsible for at least 15 similar type crimes in San Mateo County, but that number is expected to grow once other San Mateo County law enforcement agencies take a closer look at their respective unsolved thefts or credit card frauds. Thomas was booked into the San Mateo County Jail in Redwood City and was booked on multiple charges including Elder Abuse, Burglary, Credit Card Fraud and Identity Theft. The South San Francisco Police Department would like to thank the media, the public and collaborating law enforcement agencies for their assistance in identifying Thomas and making her subsequent arrest possible. To see the original PD media release seeking information on the suspect of these thefts please CLICK HERE If you have any information on this case please contact the South San Francisco Police Department at 650-877-8900 or at the anonymous tip line 650-952-2244.